The telegram channel @suomi_en gets updates every day. Here there is the last portion. 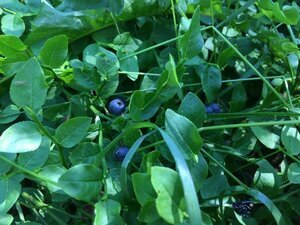 You will be able to read new posts from the blog, but if you want to get it sooner, subscribe. 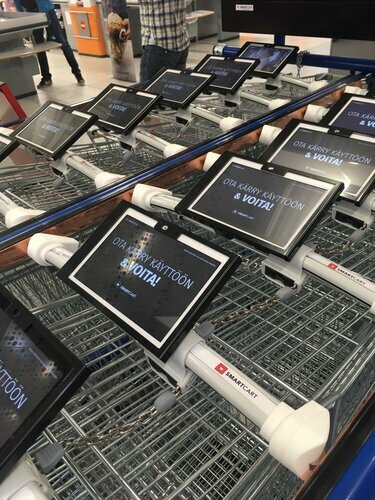 One of the local supermarkets now provides trolleys with displayes. It’s cool that they have so much money. However, not so cool that we all pay for it, and that there is no laws to limit such annoying advertising practises. 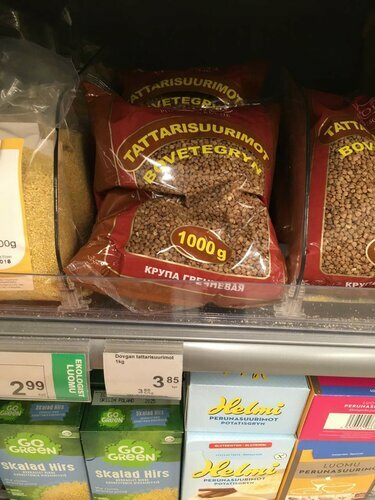 In Finland, you do not have to visit Russian shop for typical ex-USSR goods. There are many consumers of those, and so you can find buckwheat, sprats, adjika and pomegranate juice in usual supermarkets. “Russian” (in fact, Estonian) shops also exist. From there, we bought cottage cheese for the Russian version of cheesecakes, wild cherries, and pitta bread. And in summer, they sell real Middle-Asia watermelons! They are very different from the Spanish version which regular shops offer. It has been 4 days since we had moved. At first, I had some stress and was looking for what is missing in the new apartment. Finally, it turned out that everything that we are used to exits in the new place as well. However, one thing I could not find; it was an electrical socket at the balcony. To be honest, we never used that. But what if we would like to? Maybe for grilling, it’s summer here (meaning, above 10C). Or we could hang some lights for Christmas. And there is no socket?! There is no festoon anyway, but… Well, actually we found the sockets, two of them. And they have special lids to be protected from rain. 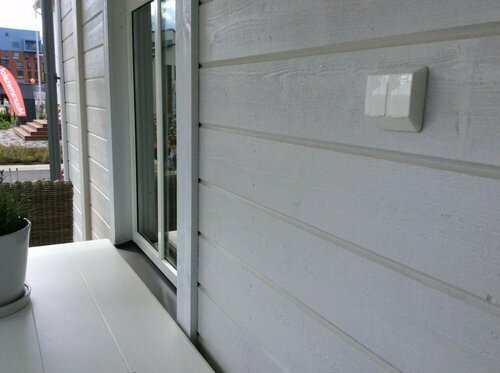 So, I conclude that sockets at the balcony are the standard in the modern houses development in Finland. 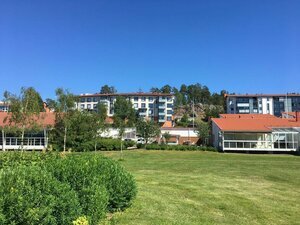 This weekend, we have summer! 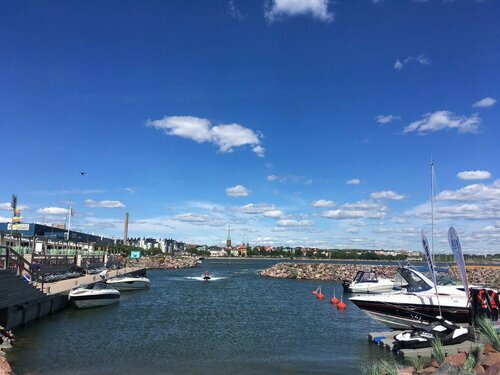 So, we ride city bikes and show Helsinki to our guests. The Helsinki city bikes project is very young, they started last summer. Actually, it is already the second attempt, and the first one was not successful. But this time it looks working. The city bikes are similar to Moscow version, but they are in different color and are linked with Helsinki public transport pass. The cost is more than affordable, just €25 for the whole season. Unlike many other European cities, the Helsinki city bikes can be used by tourists as well. One day costs €5, one week — €10. Then, you can get a bike for free if a ride is less than 30 minutes. Longer rides cost something. Using the city bikes is very handy because there is no need to care about where to park the bike. You can practice short rides together with using public transport or going on foot. 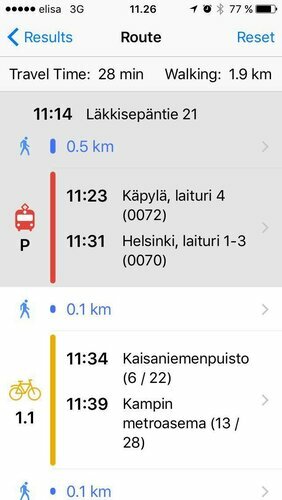 This year, Helsinki got more stations than the last year; whole city center is covered, and also some neighboring areas. 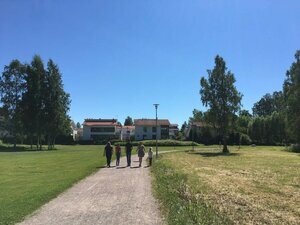 There are even some bikes in Espoo (Helsinki’s neighboring city). We hope that next year we will get even more. Here is their website: https://www.hsl.fi/en/citybikes. And even more! Now they are a part of routing service. It’s beta so you would need to turn the feature on. But it works already and even shows how many bikes is available. There is a service of getting packages in automates in the closest shops. For this, you need to set this option at the post website and select which location you prefer. Last 3 years, we did not use it, because in our previous area there was a post office in 5 minutes on foot. It was in a kiosk which works every day from early in the morning to 9 pm, and to 10 pm on the weekends. 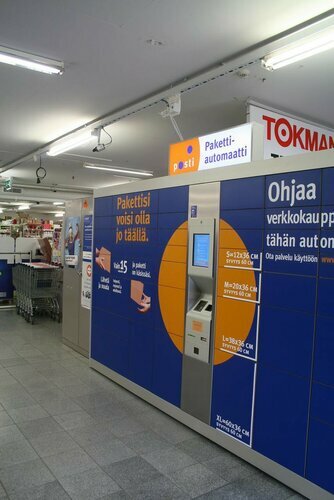 In Finland, standard delivery comes to your home only if a parcel is very small and fits the door slot. For bigger packages, you need to go and get in a post office. So, we visited there quite often. In our new home, the post office is located in nearby area’s shop (in fact, it’s a village). It works even longer — until 11 pm every day. 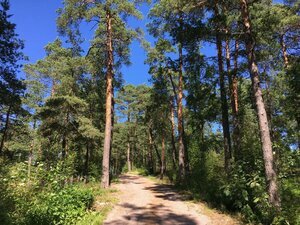 But it is 3,5 kilometers away from our house. On Friday, together with our guests we went there and back and realized that it’s very far. Assuming that it was followed by the weekend full of walking, my legs still hurt. Coming back home, first thing first I set up getting my packages in our local supermarket through the automatic boxes like you can see in the picture. Soon, we will learn how it’s working.